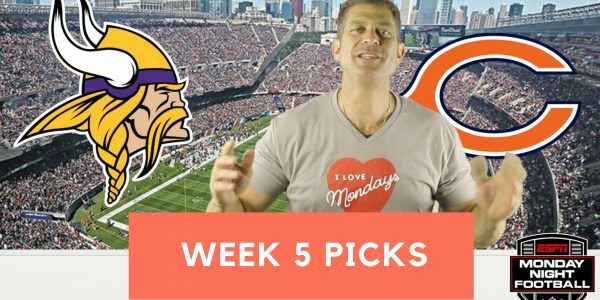 This week the Vikings sail into Chicago to face Lil Mitchy Trubisky and the Bears. Carlo is absolutely on FIRE right now with a 3 – 1 – 1 record and he feels like he’s got another lock in the hole. It’s a Monday, on a holiday with NFC north action on ESPN it gets no better than this. Monday Baby! Let’s Go!!!!!!!!!!! !